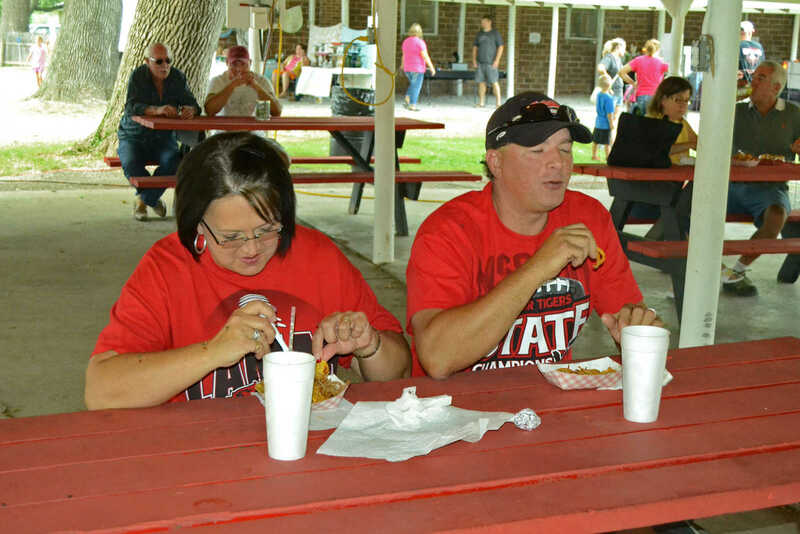 Michael and Mischele Callaghan enjoy the fare a the Sheldon Old Settlers Picnic on Friday. 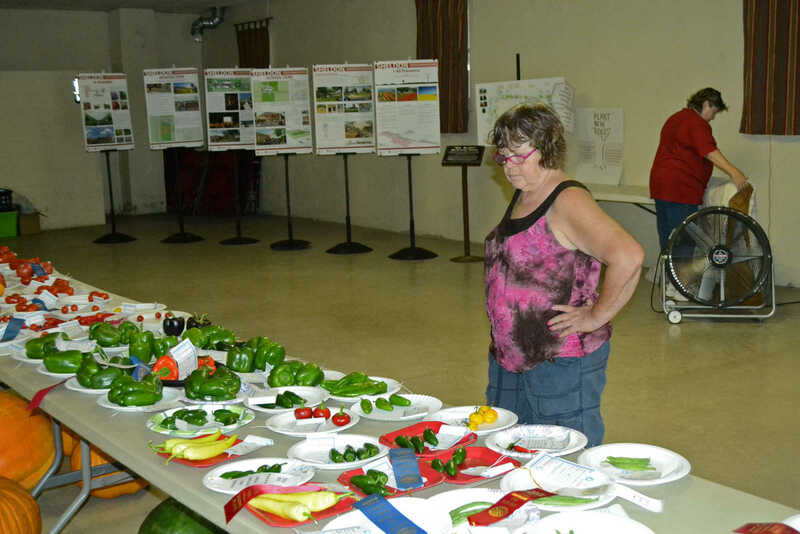 Patti Pritchett looks over the produce up for judging at the Sheldon Old Settlers Picnic on Friday. 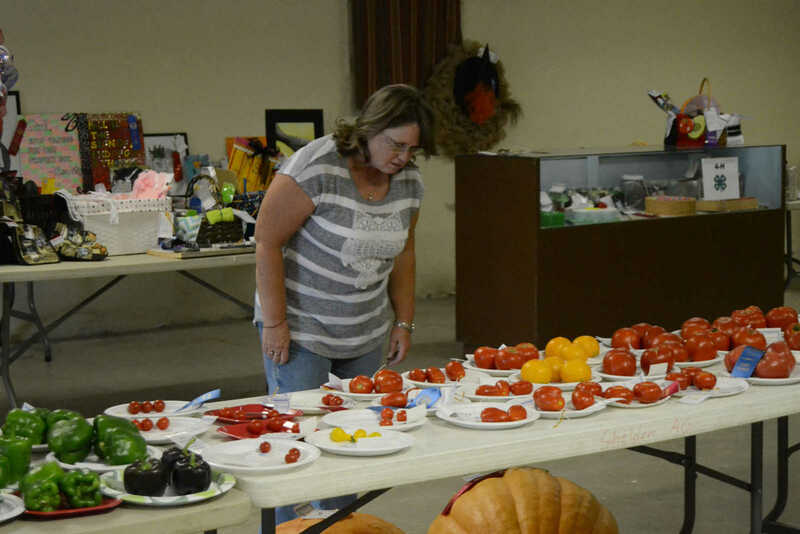 Leslie Bogart looks over the tomatoes on display at the Sheldon Old Settlers Picnic on Friday. 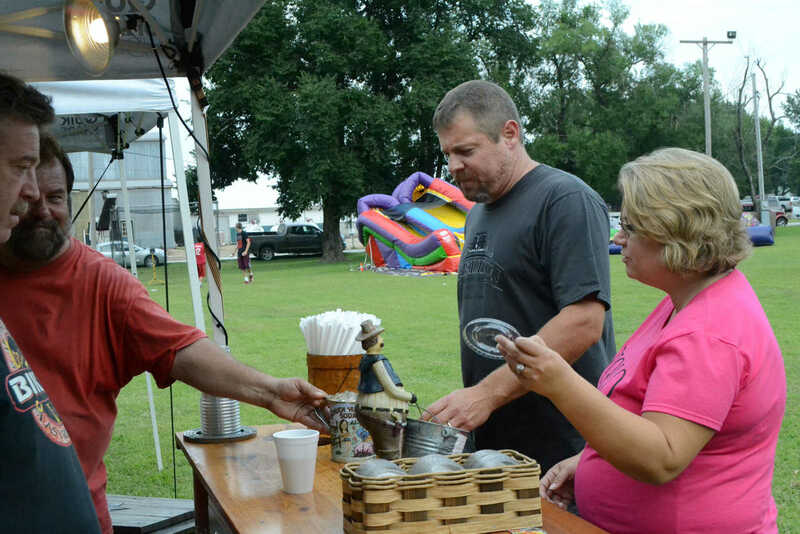 Tim and Tammy Goodwin grab a drink from a vendor at the Sheldon Old Settlers Picnic on Friday. 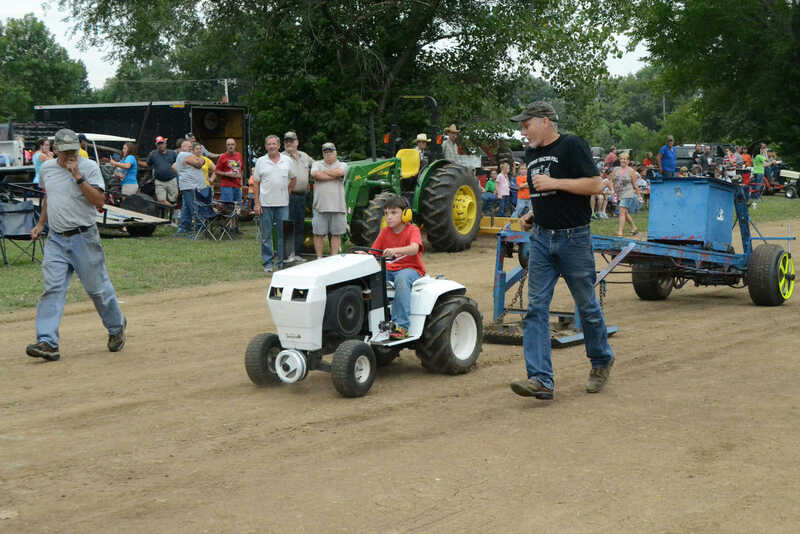 Drayton Ison particpates in the lawn tractor pull at the Sheldon Old Settlers Picnic on Friday.